While he wasn’t physically onstage during Friday night’s PaleyFest panel, Mad Men creator Matt Weiner cast a long shadow over the proceedings—so much so that the only potential spoilers leaked by the stars of the AMC drama were decidedly tongue-in-cheek. Addressing the obsessive online speculation about the fate of her character, Megan Draper—a T-shirt she wore onscreen in Season 6 had fans making grim associations between her and the doomed actress Sharon Tate—Jessica Paré joked that there was no guarantee that any cast member would make it out alive. “Maybe we’re all dead, guys!” Paré said, before adding that she has no idea what’s in store for Megan or any other Mad Men mainstay. Elisabeth Moss (Peggy Olson) echoed Hamm’s sentiment, saying, “It is definitely starting to sink in that we are going to have to say goodbye, not only to our characters, but, you know, this family.” Without missing a beat, Moss joked about distancing herself from her co-workers once the show wraps. “I don’t plan on seeing these people ever again,” she said. While links to the Season 7 premiere were distributed to media outlets earlier this week, AMC did not screen the episode at PaleyFest. Instead, attendees were presented with the gloomy “In Care Of,” which is where the Mad Men story left off last June. 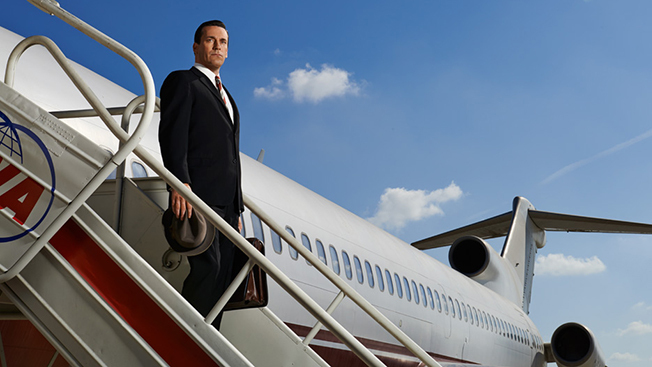 Season 7 of Mad Men kicks off on Sunday, April 13, on AMC. The network will stagger the final run, airing seven episodes this spring before wrapping things up for good in 2015.